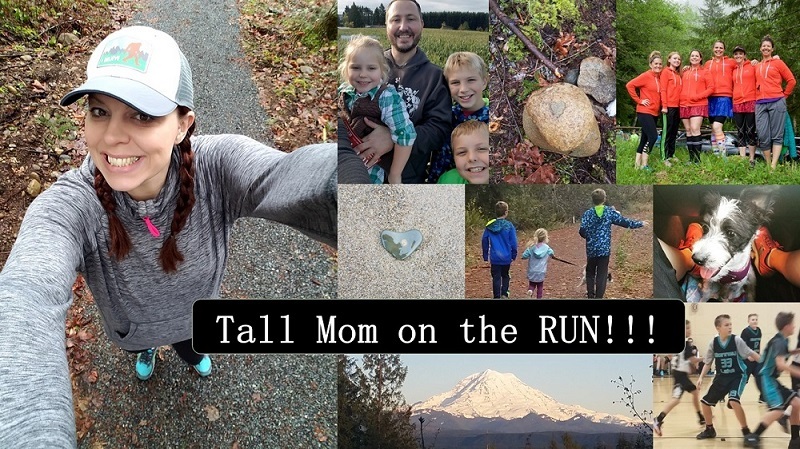 When I was selected for the Nuun Hood to Coast Relay team I didn't really think about what it would take to prepare for a relay. Last week when were were tasked with selecting our Legs it sorta hit me... Hills, Moderate to Hard legs, 3 legs in 24 hours. Hmmmm.. Tricia HERE (one of my favorite Bloggers around) posted that she did 3 runs in 24 hours...INSPIRED I took it as a Challenge.. This is how it went. **I am not a Morning Runner so it was a CHALLENGE to get out of bed. I thought about it for a second but did not let myself go back to bed. It is quiet at that hour, but Garbage day and lots of people leaving for work presented an obstacle course mentality. I made it though and was a SWEATY beast when I got home to get ready for work. 1 forgotten sport bra- UGH!! **I wanted this to be my longest and fastest leg but I was pressed for time, so I went with the speed and tougher terrain. 1- Personalized License read "Chapps"
**Overall it was a good run, my legs were tired but I pushed through. The CEP Compression sleeves provided some stability for soreness. I kept burping dinner which was not fun!! When I realized that I could get a Half Marathon for the day I stretched the run. I am going to put together a training plan to prepare for a successful Hood to Coast performance. I am excited to do some more research about this type of plan. This was an amazing start. I will learn more about my body as I test the limits. What I learned from this first adventure. Regardless of the temperature I am perfect in a tank top and shorts. Gonna stick to Doubles for a few weeks!! Mid-week Triple= Half Marathon is a great way to get in some miles!! For all of you who have run Relays I would love to hear helpful tips and how you trained. ALL ADVICE is WELCOMED!! I'm excited to follow you and your H2C team! wow what a day! I am excited to follow the bloggyland training for this relay. Best of luck to everyone. You will do awesome at H2C! Can't wait to read all about your training! I tend to feel guilty for running after work during family time too. So I have been trying hard to wake up early. It's not easy. This year will be my 3rd year participating in Spokane to SandPoint relay. It never even occurred to me to train! Just go have fun! The energy is so HUGE that it pumps you through your legs. The 3rd leg is always tiring because you are TIRED. It is the experience that is incredible. Bonding, laughing, sweating, being exhausted, laughing.....you think that the vow of "what is said on the road, stays on the road". Well, let me tell you...you'll have a new motto..."What is said in the van stays in the van." We refer to the van as the vault. :) You're gonna LOVE it! Relax and enjoy! I have run 3 relays, and I love them. Remember the fun part is not the running :) You will have a blast! Hood to Coast is so fun. When I am training for a relay I do 2 a days and then 3 in 24 hours (run am, run pm, run am). Usually on average you will probably have 8 hours between your legs. Adrenaline will get you through your 3rd run because it is always a little tough butI found that once I get out of the van I am fine and then so happy to finish. Do you know what leg you have yet? My advice would be to build your mileage and then 2-3 weeks before the race do one multiple run day a week. It has worked for me and got me through an ultra (6 runners instead of 12, same mileage) in February. Good Luck ! Also as a side note- your bananas you bring along WILL BRUISE IMMENSELY from everyone moving around, so I suggest keeping them in a separate shoe box or something to avoid that. oops I meant to say "once you're done running, you don't have TIME to stretch"
Um. You are a nut. But that's why I love you. I've never run a relay...but awesome stats from YOU! Great job! What a successful day. Not sure you can ever fully prepare for a relay, but I think doubles are the way to go. So awesome, Mel! I'm pretty much always good in a tank and shorts, too…wonder if we should tell them? what a great day of running! congratulations! sounds like you'll rock the relay. good for you! I really want to do Hood to Coast one day. Can't wait to hear how it goes. Two half marathons in less than a week! You rock! I will start doing some two-a-days here in a few weeks. I think I really need to do one late at night. I run in the dark early in the morning (in the winter), but not at night. I'll have to wait until kiddos go to bed. I have heard that those night legs can be tough. Mel, I was training for a 1/2 to do the weekend after H2C when I ran last year. I didn't do any daily doubles (or triples) for that matter. And really, I felt that physically, I was fine. The 3rd leg, as everyone has said is just hard. I looked at it as like I did labor - it would be over before I knew it and I just wanted to savor the moment. Your legs will be heavy at leg 3 but and as you sit in the van wondering how in the world you're going to get them to move, remember that your adrenaline will get you going and your mind will keep you there. You are going to have SO much fun!! Way to push yourself for 3 runs!!! Proud of you!! I'll be reading your comments and have requested input from my readers too! Go team nuun!! i am with you, unless it is really cold i gotta be in a tank top... unless i am wearing a long sleeve tech tee over it. i just can't run in a short sleeved shirt. it is so weird to me! Awesome job on the triple - great training for H2C!